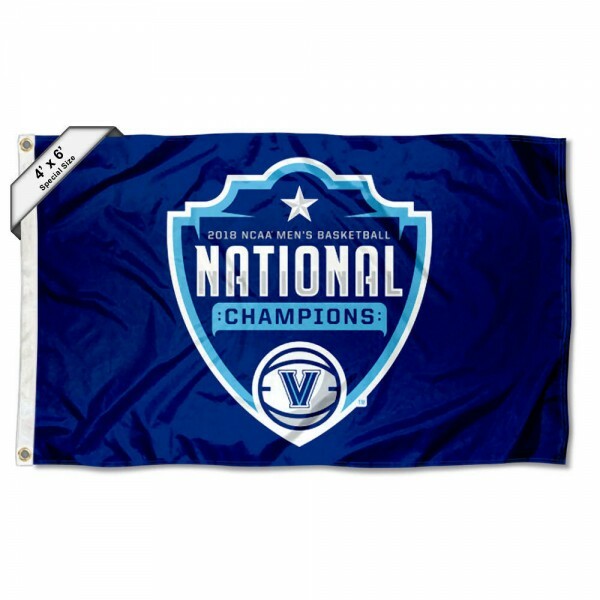 Our Villanova Wildcats 2018 Basketball National Champions 4'x6' Flag is constructed of 100% woven polyester, measures a large 4'x6', has quadruple-stitched fly ends for durability, and metal grommets. The Officially Licensed Villanova Wildcats logos are screen printed into our Villanova Wildcats 2018 Basketball National Champions 4'x6' Flag which results in a flag viewable from both sides with the opposite side being a reverse image. Make sure you're seen at the next tailgating party and fly your 4'x6' flag proudly with our 28 ft. or 21 ft. tailgate flagpoles.